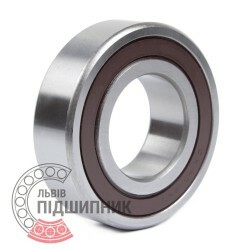 Bearing 62305 2RS Timken, United States. Deep groove ball bearing. Single row. RS-type shields on both sides. Wide section. Dimensions (dxDxB): 25x62x24 mm. Correspond to USSR / CIS designation 180605 GOST 8882-75 and 62305-2RS DIN625-1. Net product price: 458,37 грн. Gross product price: 550,04 грн. Hurry up! Last items in stock! 550,04 грн. 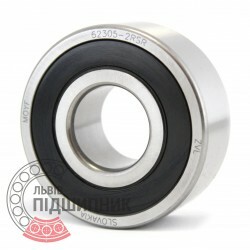 Bearing 62305 2RS CPR, China. Deep groove ball bearing. Single row. RS-type shields on both sides. Wide section. Dimensions (dxDxB): 25x62x24 mm. Correspond to USSR / CIS designation 180605 GOST 8882-75 and 62305-2RS DIN625-1. Net product price: 61,71 грн.  Gross product price: 74,05 грн. Hurry up! Last items in stock! 74,05 грн. 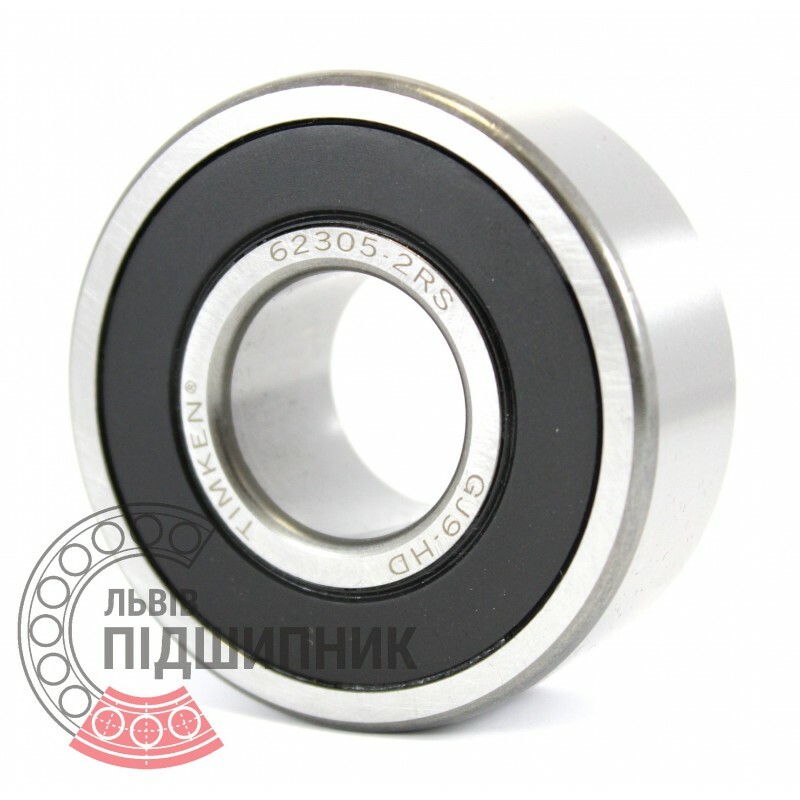 Bearing 62305-2RSR ZVL, Slovakia. Deep groove ball bearing. Single row. RS-type shields on both sides. Wide section. Dimensions (dxDxB): 25x62x24 mm. Correspond to USSR / CIS designation 180605 GOST 8882-75 and 62305-2RS DIN625-1. Hurry up! Last items in stock! 182,95 грн. Bearing 62305-2RSR FAG Schaeffler, Germany. Deep groove ball bearing. Single row. RS-type shields on both sides. Wide section. Dimensions (dxDxB): 25x62x24 mm. Correspond to USSR / CIS designation 180605 GOST 8882-75 and 62305-2RS DIN625-1. 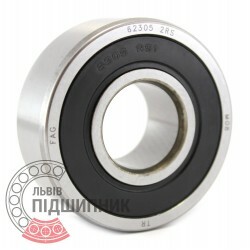 Net product price: 485,76 грн. Gross product price: 582,91 грн. Bearing 62305 2RS CX, Poland. Deep groove ball bearing. Single row. RS-type shields on both sides. Wide section. Dimensions (dxDxB): 25x62x24 mm. Correspond to USSR / CIS designation 180605 GOST 8882-75 and 62305-2RS DIN625-1. Net product price: 115,83 грн. Gross product price: 139,00 грн. Bearing 62305 2RS FBJ, Singapore. Deep groove ball bearing. Single row. RS-type shields on both sides. Wide section. Dimensions (dxDxB): 25x62x24 mm. Correspond to USSR / CIS designation 180605 GOST 8882-75 and 62305-2RS DIN625-1. Hurry up! Last items in stock! 158,00 грн.